The following list was compiled by combining information from the Ward Line ticketing list, and Francis Crocco’s hand written notes. 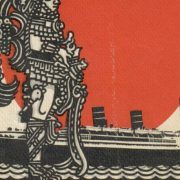 In the cases of Mr. and Mrs. Filtzer; Anna Behling; Herman Cluthe, and Thomas Torresen and Lester Arriessohn, the cabin numbers were found in the FBI depositions on file with the Bob McDonnell papers at the Titanic International Society. This list contains the names of passengers known to have been on board and verified through multiple sources. It is as complete as we can make it, but there are some omissions. For instance, a survivor named Kathleen O’Grady appeared on multiple lists of hospitalized passengers issued on September 9th, but did not appear on any of the Ward Line ticketing or cabin lists. 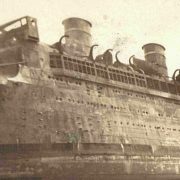 Miss O’Grady did not grant any interviews to the press, and so until confirmation that she was a bona fide survivor is found, she has been omitted. The U.S. Censuses of 1920 and 1930 have been invaluable in clearing up some of the more ambiguous passenger names~ Myett Longe, Margaret Lomse, Myrtle Lomse and Margaret Lohse, all of the same address in Richmond Hill, Queens, have now been identified as Mrs. Myrtle Lohse. Likewise, the confusion over the names and ages of the Saenz family has finally been resolved. Wherever possible we have attempted to use multiple sources to insure accuracy. 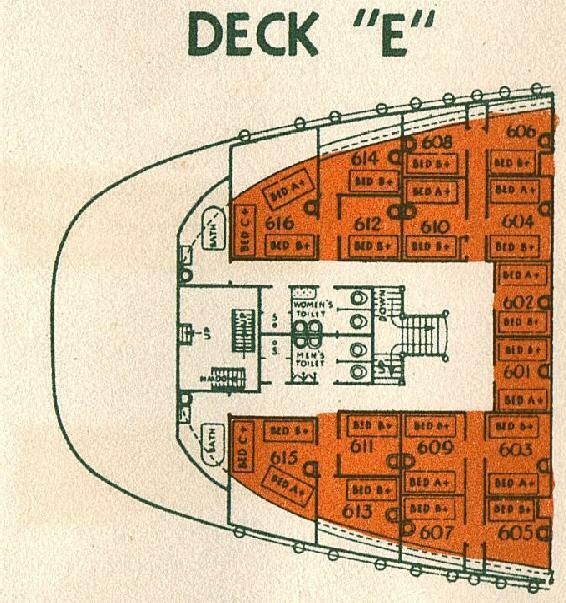 With the exceptions of Miss E.M. Johnson, Mrs. Giannini and Mrs. Brinkmann, we have now determined the first name of every passenger aboard the ship- a sometimes daunting task. 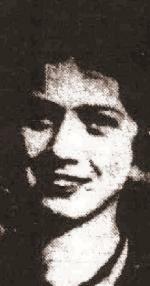 “Drena Villehoz” “Irene Villehaft” “Iranio Villehoft” and several other variants of what was obviously the same name stymied reporters, in 1934, to the extent that “Complete name, address, and gender unknown” was occasionally appended to that name on published list of victims. Drena Villehoz now stands revealed as Irineo Villehoz, a man. 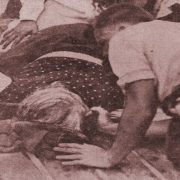 A single citation, confirmed through records at Green-wood Cemetery in Brooklyn, allowed Mrs. James Dillon to be given the first name Lulu. The names of the victims are shown in italic. 16 of 20 cabins and suites occupied. 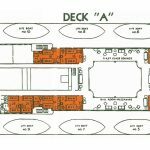 Pelvis of body found in hall between cabins 19 and 21. Identified in newspapers as male. 1. Dr. Charles Cochrane. Recovered from cabin: Watch and chain with safety pin attached to chain. Eleven keys on ring. Four coins- one cent, one dime, two coins fused together, eight pieces of metal. One small set of tools. Mrs. Katherine Vosseler. Recovered from cabin: Watch and chain with monogram T.V.L. 3. Miss Catherine Cochrane. Recovered from cabin: Two keys. One small piece of metal. Four stones, possibly pearls. One ring (three large stones, two appear to be diamonds) third stone blue. Several small diamonds along side. Two eyeglass lenses. Two dresser clocks, one with a diameter of about four inches, one with a diameter of about three inches. Metal portion of dental plate. Three gold inlays or teeth. Three teeth (white) possibly false. Monocle. Bones found on bedsprings. 9. Miss Nan. B. Helm. Recovered from cabin: Eleven coins fused together. Five keys. one identification tag. Scissors, one metal figure, one stone in setting. Dresser clock. One stone, six stones in setting. 10. Mr. Max ‘Monroe’ Berliner. Recovered from cabin: Eleven keys on ring, watch and wrist watch, small case (gold filled) marked Claremore Lodge. Nine dimes, eight nickels, three Cuban nickels, one quarter. Two sets of cuff links, three studs, one watch chain, two pieces of metal. Masonic ring. Charred bones. Several gold teeth. 11. 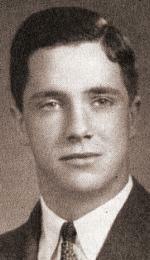 Mr. Walter E. Byrne. Recovered from cabin: One pair of eye glasses. 12. Mr. David Schneider. Recovered from cabin: Three keys, one clasp and a few beads. Four cents, two quarters, one dime, one Cuban nickel. 14. Mr. Frank B. Meley. Recovered from cabin: One belt buckle, monogram F.B.M. One silver dollar, part of medal. 15. Mrs. Renee Mendez Capote. Recovered from cabin: Eleven keys in a bunch. Four keys on ring and chain. One shell novelty, one silver novelty, traveling clock. 17. 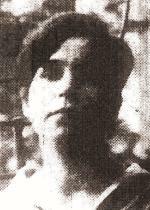 Miss Rosario Camacho. Recovered from cabin: One Cuban cent, one American cent. Scissors. 18. Master Roberto Gonzales. Recovered from cabin: One belt buckle, one key. Mrs. Ruth Strauch. Recovered from cabin: Watch and chain, scissors, four cents, one dime, one nickel, one quarter. 21. Master Braulio Saenz y Aguilera. Recovered from cabin: One metal powder box, three keys, nine collar buttons, wrist watch, two childrens’ pins, two medals, one Cuban 20 cent, one Indian head cent, one Cuban five cent, one cent, six English coins, two gold coins. Miss Marta Saenz y Aguilera. Recovered from cabin: Four keys, two Cuban 5 cents, one two peso gold piece, piece of metal and coin fused together, one necklace in three pieces, two parts of rings (one appears to be diamond). Bones found on floor believed to be remains of Saenz child. 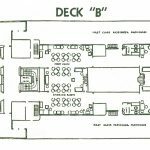 None of the 8 suites on B Deck were occupied. Watchman Harold Foersch, known to have been on the bridge with Captain Warms at the onset of the fire, was tentatively named as the body found on the forward starboard promenade deck, under the bridge, on Sunday. 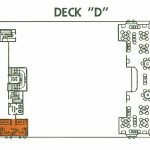 The only decking unburned on the entire expanse of B Deck was beneath his body. 86 of 93 cabins and suites occupied. 201. Mr. Jose Antonio Freire. Recovered from cabin: Two medallions, one belt buckle, one medal, forty coins undetermined denomination, small cross. 202. Miss Edith Hull. Recovered from cabin: Three cents fused together, two coins fused together, wrist watch, five keys, six keys on chain. Miss Ofelia Busquet. Recovered from cabin: One disc, one bracelet in seven sections, five medallions, one key, rosary beads and bullet fused, one mass of fused jewelry. Jewelry fused to small bottle. One cuff link with diamond set in center, broken wedding ring set in stones. One pin. Two stones, part of setting burned. 204. Miss Zelda Nathanson. Recovered from cabin: Three keys. One silver dollar, eleven nickels, five quarters. Mrs. Paul Giannini. Recovered from cabin: Four keys on ring. Watch and chain fused together. Ten pieces of what appears to be bracelet. Mrs. Lillian Geffert. Recovered from cabin: One key, one watch, four coins fused together, fused rosary beads, three pieces of what is believed to be jewelry, one diamond ring. Mr. John Kempf. Recovered from cabin: Two keys, bottle opener and knife on remains of key case, two keys on remains of key case, two nickels, one cent. Mrs. Katherine Phelps. Recovered from cabin: Traveling clock, two watches, one cent, one forty cent Cuban coin, bracelet fused with glass bottle. Miss Eva Fisk. Recovered from cabin: Dresser clock, two medallions one in case, six keys, one dime, two dimes fused together, three dimes fused together, three pennies, two nickels, one quarter, one cent and one quarter fused together, one cigarette case. Miss Jerry Erickson. Recovered from cabin: Two keys separate, two keys together, two keys on a chain. Small mass of fused jewelry. One bracelet. Three coins fused together. Two coins fused together. Set of earrings, stones missing. One earring. Two clasps. Three pieces of jewelry, probably necklace. Four pieces of jewelry, probably bracelet (three blue stones and what appear to be two diamonds), a fused bead. one ring, with two diamonds and four diamond chips. One ring, unable to determine stone. 212. Mr. Eduardo Suarez y Murias. Recovered from cabin: Nothing found. Miss Marjorie Budlong. Recovered from cabin: One ring, stone melted. Five nickels, seven pennies, three keys, five keys attached to key case, two sets of earrings, one novelty- gun shaped, inch long. Mrs. Harriet Cohen. Recovered from cabin: Two nickels, one cent, one coin unable to determine, two keys, part of ring, three sets of earrings, one earring, two pieces of metal. Miss Frances Murphy. Recovered from cabin: Three bracelets, one in three pieces, five keys, one cuff link, one ring, one cross, one Cuban twenty cent pieces, two Cuban five cent pieces, one brooch. Miss Betty Roberts. Recovered from cabin: Two bracelets, two sets of keys- two in each set, one key, four keys on broken chain, band of metal appears to be ring, one part of an earring, one part of a bracelet, four beads. 218. Occupant Not Known. Recovered from cabin: Three rings, one wrist watch, nine keys, several coins fused together, one penny, one nickel. Miss Floride LaRoche. Recovered from cabin: Seven keys in key fold, rosary beads, two keys on ring, four keys separate, two nickels, one cent, three tokens-United Electric Railways. One cross, two medallions, one lavaliere and chain, one brooch, four pieces of link chain possibly a necklace, frame for purse, six pieces of beads. 220. Mr. Henry Borman. Recovered from cabin: Two keys, dresser clock. 221. Mr. Gouverneur M. Phelps, Jr.
Mr. Edward Kendall. Recovered from cabin: Watch, lighter, stone 3/16″x 1 1/16″ x 1 1/16″ with figure engraved on face, one coin, three coins fused. Mrs. Mollie Weinberger. Recovered from cabin: Two keys fused together, three keys, three nickels, one cent, one quarter, one token. stone in center and one diamond on each side. One ring unable to determine stone. Stateroom key and four other keys on ring. One bracelet, wrist watch, one set of cuff links. Three pennies fused, two pennies fused, what appear to be a quarter and a nickel fused. Two dimes fused together, one nickel, two cents, two quarters, two coins undetermined. 224. Occupant Not Known. Recovered from cabin: One ring, two keys, one cross, one brooch, one coin, U.S. Marine emblem. 225. Mr. Joseph Heiman. Recovered from cabin: Dresser clock, four keys on chain, one key on ring, nine keys, five wrist watches, lighter, tie clamp, stone set in partly broken ring, three coins fused together, seven pennies, three nickels, one quarter, one dime. Mrs. Nathene Loveland. Recovered from cabin: Nothing found. Mr. Harry Lipscombe. Recovered from cabin: Ten keys on ring, three keys on ring, two keys, one cuff link, one quarter, one nickel. Mrs. Lillian Wacker. Recovered from cabin: Two pairs of earrings, sports buckle, watch, three quarters, four dimes, one nickel, watch chain with attachment for belt on which is an Elks emblem. Mr. William Grimm. Recovered from cabin: One belt buckle, one coin, one tie clasp. 230. Miss Ann Conway. Recovered from cabin: One pair of earrings. Mrs. Viola Pollice. Recovered from cabin: 1 1/2 keys fused together, two nickels, one quarter. Mrs. Dora Newmark. Recovered from cabin: One dinner ring in three pieces in which are set several stones, possibly diamonds. Cigarette and compact case, one key, four coins appearing to be pennies, one Cuban centavo, one pair of cuff links, brooch with initials D.N. 234. Miss Bertha Marquardt. Recovered from cabin: One bracelet in three pieces, one key, four coins fused together, lavaliere in three pieces. Mrs. Dolly Davidson. Recovered from cabin: One cigarette case, four keys, three coins fused together, two quarters, one nickel, one cent, one ring, two small diamonds, one blue stone. 237. Miss Eleanor Brennan. Recovered from cabin: One compact, possibly gold. Small clock, one cross, three medallions, one bracelet. Mrs. Grace Holden. Recovered from cabin: One bracelet in two pieces- 21 diamonds set in one piece, two diamonds set in other piece. The piece with two diamonds is fused to a brooch in which are set twelve diamonds. One diamond appears to be 3/4 karat. One mesh bag, one filigree brooch, fifteen keys, one watch, one ashtray, 16 coins, one medal, one tile, eight small clay figures, part of earring, one pendant with white stone. 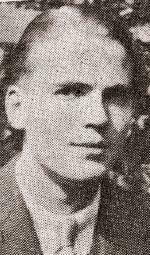 Mr. George Sivation. Recovered from cabin: One medallion. 240. Mr. Gustav Marquardt. Recovered from cabin: Two watches, three rings on a ring, one key, one pair of cuff links, nine coins fused together, three quarters, six coins fused together, five nickels, one cent, six dimes, three coins fused together. Miss Marta Landmann. Recovered from cabin: One bracelet, one metal bottle stopper, one pin, one buckle, one watch. Mrs. Mary Hulse. Recovered from cabin: Dresser clock, small woman’s watch, thimble, small shackle, token. Miss Alice Desvernine. Recovered from cabin: One cross, one mesh bracelet, one mesh belt in three pieces, one set of earrings. 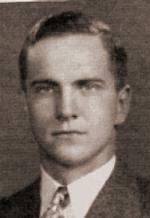 Ruben Andrus Holden, Jr. Recovered from cabin: Buckle, engraved R.A.H., fourteen coins, three cuff links, small green glass figure. 246. Miss Anne Behling. Recovered from cabin: One bracelet, one bracelet in four parts, one brooch, two keys. 247. Mr. Ernest Pottberg. Recovered from cabin: Pen knife, silver fountain pen cap. 248. Mr. Wilfred J. Kedy. Recovered from cabin: Four keys, three coins, one ring with Masonic emblem. Mrs. Martha Blondiau. Recovered from cabin: Eight keys on remains of key case, five keys on remains of key case, three coins. 250. Mr. Irineo Villehoz. Recovered from cabin: One ring (appears to be), one stone, three pieces of watch chain. 251. Occupant Unknown. Recovered from cabin: One key on chain, two earrings, dinner ring, watch, two bracelets, seven coins. Mrs. Samuel Vitale. Recovered from cabin: Two coins, one key, two earrings, two novelty anchors. Mrs. Frieda Scheely. Recovered from cabin: Two keys, large colorless stone. Mr. Aurelio Piedra. Recovered from cabin: One pair of cuff links, three studs, one collar button and one pair of nail scissors. Mrs. Constance Miller. Recovered from cabin: Six keys on ring, watch, two keys, sixteen coins. Mrs. Frieda McArthur. Recovered from cabin: Lavaliere in two parts- two stones on one part one stone on the other part. Class pin, one thimble, twelve coins, one good luck piece. Mrs. Kay Lambert Hirsch. Recovered from cabin: Mesh pocket book, ten keys on ring chain attached, eight keys on ring, small anchor pin, wrist watch, twenty three coins. Mrs. Bessie Perlmann. Recovered from cabin: Several coins fused together, six parts of earrings, one brooch with three stones, one key, pair of nail scissors. Mrs. Henrietta Borrell. Recovered from cabin: Wrist watch studded with diamonds fused to a mass of jewelry, which consists of wedding ring studded with diamonds, two other diamonds visible. Miss Evelyn Fitzgerald. Recovered from cabin: Pendant of a lavaliere with diamond in center, one ring with red stone, one crucifix in stand. Pendant of a lavaliere and chain fused together- seven stones in the pendant and earring fused to the chain, six coins, two medallions part of a lavaliere fused with part of an earring (seven stones), rosary beads, three earrings, pin or brooch shaped like a bow and one shaped like a letter “H.” Mass of metal, possibly gold. Mr. Thomas Featherstone. Recovered from cabin: Four keys on remains of key case, two earrings, four pieces of jewelry. 262. Mr. Matthew McElhenny. Recovered from cabin: Seven keys on ring, one watch, one pen knife, four coins. 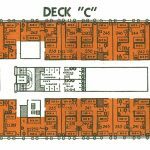 48 of 57 cabins occupied. Master Mervin Bregstein. Recovered from cabin: One pen knife, nine keys on ring. 302. Miss Camilla Conroy. Recovered from cabin: Two keys, one crucifix, part of a medallion, two brooches, several coins and a good luck piece fused together, part of a bracelet. Mrs. Elsie Hassall. Recovered from cabin: Key and coin fused together, two keys, three coins. Ring with two white stones possibly diamonds, third stone missing, fused with glass and has been exposed to great heat. 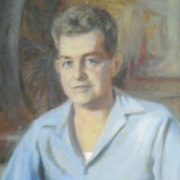 Master Benito Rueda. Recovered from cabin: Wrist watch, pen knife, and key. Mrs. Lillian Lampe. Recovered from cabin: Fifteen coins, 25 crystal beads, three keys, two keys on a safety pin, one oblong stone, part of ring or earring, part of earring, necklace in three pieces, eye glass frame. Miss Dora Hoffman. Recovered from cabin: Five coins, four keys on a ring, wrist watch and two pieces of wrist band. Miss Ann Conway. Recovered from cabin: Eleven coins fused together, three coins fused together, fifteen coins, five keys attached together, two keys, rosary in three pieces. Miss Lucille Robinson. Recovered from cabin: Three coins, one crucifix, rosary beads fused together, small elephant pin. brooch, identification tag, one medallion, four keys, several keys in remains of a key case fused together, four beads, part of an earring. Miss Augusta Tusrin. Recovered from cabin: Four coins, one pencil, one key. Mrs. Claire Drummond. Recovered from cabin: Two coins fused together, two coins, rosary beads fused together, several keys in remains of a key case fused together, two masses of fused beads. Miss Ruth Prince. Recovered from cabin: Bracelet, earrings and lavaliere fused together, several coins fused together, one Cuban coin, part of earring, pair of earrings fused to part of bracelet, three pieces of jewelry- either part of bracelet or lavaliere. Mrs. Anna Meissner. Recovered from cabin: Two coins, tie clasp, one pen knife. 315. Miss Eva Hoffman. Recovered from cabin: Eight coins, two coins fused together, what appears to be two masses of fused coins, two keys on ring, two keys, five studs, one woman’s ring with purple stone and two triangle chips. Miss Adele Wallace. Recovered from cabin: One coin, wrist watch, bracelet in two pieces, pen knife, large stone and setting. Mrs. Minnie Hagedorn. Recovered from cabin: Tie pin, tie clasp, two coins, bracelet in two pieces, part of cuff link, two brooches, one necklace. 324. Mr. Charles Bader. Recovered from cabin: Two coins. 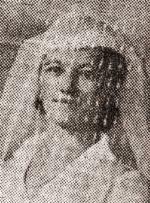 Mrs. Mary Kosbothe. Recovered from cabin: Thimble, mass of fused beads. 326. Mr. James Chalfont, 2nd. Mr. Morton Lyon. Recovered from cabin: Twelve keys on remains of key case, tie pin, tie clasp, six coins, two pocket watches, one wrist watch, one small pen knife. Miss Louise Overgene. Recovered from cabin: Three keys on key ring, three keys, thirty coins, pair of earrings, one lavaliere, two dinner rings. Mr. Paul Arneth. Recovered from cabin: Ten keys on ring, pen knife, part of what appears to be a watch chain. Mr. James A. Flynn. Recovered from cabin: Eleven keys on ring, remains of key case. Miss Margaret Mayer. Recovered from cabin: One brooch, one lavaliere. Miss Katherine Liebler. Recovered from cabin: Three quarters, two other coins. Miss Ethel Schmitt. Recovered from cabin: Two keys, one coin, bracelet with diamond and two blue stones, fourteen earrings, one lavaliere with small diamond in the pendant. 14 of 16 cabins occupied. Mrs. Minnie Davis. Recovered from cabin: Five keys on chain, lavaliere, one key, thirteen coins. Scissors. Wrist watch, stopped at 4:45. Miss Sadie M. Wald. Recovered from cabin: One bracelet, three keys. Miss Ann Litwak. Recovered from cabin: Eight coins, one key. 609. Mr. John C. Kent. Miss Ida Brown. Recovered from cabin: Wrist watch, three keys an chain, three keys on ring, three lavalieres, two keys on safety pin, dinner ring. (?) (?) Miss Madeline Desvernine. Boarded in Havana. 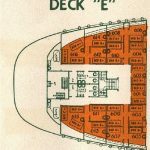 Shared a C Deck cabin with another woman, by her own account. 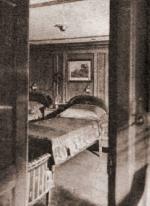 Cabin was on the starboard side, according to the account of her cousin, Miss Alice Desvernine. (?) Mr. Frank Dittman. Boarded in Havana. Most likely shared C-277 with George Watremez. Mr. Joseph Hidalgo. Boarded in Havana. They shared an outside cabin. Mr. Rafael Mestre. Boarded in Havana. Crew Locker #8. Ramon Ferner. Khaki rain coat (hanging on line to dry) camera- Eastman Kodak, hunting knife, roll of film, negatives, wallet. Morro Castle: Crew List This list was compiled from the Ward Line crew manifest located in the Crocco papers, and is as close to accurate as I can make it. The manifest of the September 1st voyage appears to be a photostat of a carbon copy and, in places, is all-but-unreadable. 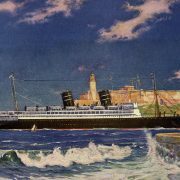 Any questionable names were compared with names on the manifests for the Morro Castle‘s final three completed voyages, which can be found at www.ancestry.com. There are many discrepancies between the four lists (for instance, Hiram Gastambide is listed as Gastenside, Gastenbide and Gastambide, with equal frequency throughout 1934) that I have tried to reconcile through newspaper lists and SSDI. In several cases, crewmembers known to have been on the final voyage (Pond, Brodkin, Kirby, Bogeti) did not appear on the final manifest. Abbott, Eben. 48. Chief Engineer. 786 Pelhamdale Avenue, New Rochelle, NY. Abbott, Ernest. 52. Junior Engineer. Seamen’s Institute, NYC. Alvarez, Carlos. 27. Steward. 1532 5th Avenue, NYC, NY. Anzalone, Charles. 34. Able Seaman. 284 Houston Street, NYC, NY. Naturalized U.S. citizen, born in Italy. Bagley, Arthur. 23. Ordinary Seaman. 44 Gramercy Park, NYC, NY. Barrios, Arturo. 36. Second Assistant Cook. 115 Kane Street, Brooklyn, NY. Born in Puerto Rico. Barrios, Juan. 33. Water Tender. 122 Clay Street, Brooklyn, NY. Spanish citizen. Beaumont, Alex. 29. Wiper. 209 East 25th Street, NYC, NY. Beck, Lena. 41. Librarian. 206 East 78th Street, NYC, NY. Naturalized U.S. citizen, born in England. Bendet, Max. 33. Musician. 1414 White Plains Road, Bronx, NY. Beresford, Robert. 21. Ordinary Seaman. 49 Nome Street, Forest Hills, NY. Born in Argentina. Bernhardt, William. 34. Able Seaman. 4301-162nd Street, Flushing, Queens, NY. Bertocci, James. 27. Deck Steward. 602 Washington Street, Hoboken, NJ. Bertocci, Joseph. 19. Deck Steward. 602 Washington Street, Hoboken, NJ. Bogeti, Sirl. 28. Deck Steward. Bourgos, Juan. 29. Firemen’s Messman. 68 East 114th Street, NYC, NY. Born in Puerto Rico. Bouguson, Elias. 35. Bath Steward. Brink, Charles. 27. 304 Irwin Street, Philadelphia. Bruno, George. 34. Steward. Hoboken, New Jersey. Naturalized U.S. citizen, born in Germany. Campa, John. 34. Able Seaman. 23 Home Place, Lodi, New Jersey. Campbell, Daniel. 34. Assistant Beverage Steward. Elmhurst, New York. Naturalized U.S. citizen, born in England. Cardelleccio, Frank. 43. Barber. Naturalized U.S. citizen, born in Italy. Carey, Frank. 41.Silver Pantry. 1855 Boulevard East, Weehawken, NJ. English citizen. Casiniere, Albert. 31. Pastry Maker. Naturalized U.S. citizen, born in Canada. Cayhue, Ray. 42. Bath Steward. West 26th Street, NYC. Charles, Tom. 23. Able Seaman. 4306 23rd Street, San Francisco, Ca. Cohn, Irving. 19. Engineering Cadet. Bronx, NY. Costa, Enrique. 43. Officers’ Messman. 75 South Street, NYC, NY. Spanish citizen. Caldwell, John. 32. Steward. 584 Jackson Avenue, Bronx, NY. Celi, Nat. 28. Steward. Richmond Hill, Queens, New York. Naturalized U.S. citizen, born in Italy. Davis, Joseph. 34. Steward. 1644 Eastern Parkway, Brooklyn, NY. Davis, Sidney, 19. Bellboy. 117 North 3rd Avenue, Highland Park, NJ. Derringh, William. 32. Steward. Bronx, NY. Naturalized U.S. citizen ,born in England. Dinne, John. 33. Quartermaster. Seamen’s Institute, NYC. Naturalized U.S. citizen, born in Latvia. Douglas, Herbert. 39. Steward. 271 3rd Avenue, NYC, NY. Naturalized U.S. citizen, born in England. Dunhaupt, Otto. 48. Printer. 375 West 181st Street, NYC. Naturalized U.S. citizen, born in Germany. Dunn, Gerald. 19. Ordinary Seaman. Princeton, New Jersey, R.F.D. #2. D’Uva, John. 37. 1314 Elder Avenue, Bronx, NY. Naturalized U.S. citizen, born in Brazil. Edgerton, Jerry. 20. Sculleryman. Burlington, Wisconsin. Eichler, Charles. 44. Steward. 34-22 42nd Street, Astoria, Queens, NY. Eklund, Albert. 34. Deck Steward. 7602 Ridge Boulevard, Brooklyn, NY. Naturalized U.S. citizen, born in Finland. Farnell, Hamlet. 46. Steward. 7334 56th. Street, Brooklyn, NY. Naturalized U.S. citizen, born in England. Ferguson, Malcolm. 35. Night Watchman. Seamen’s Institute, NYC. Fernandez, Joseph. 27. Steward. 47-30 35th Street, Woodside, NY. Fernal, Joseph. 20. Junior Electrician. Bayonne, New Jersey. Ferner, Ramon. 19. Fireman. 435 Chauncey Street, Lyndhurst, New Jersey. Foersch, Harold. 33. Night Watchman. U.S.S. Altari, San Diego, CA. Ford, James. 41. Second Steward. 74-30 87th Street, Woodhaven, NY. Naturalized U.S. citizen, born in England. Frank, Harry. 32. Able Seaman. Seamen’s Institute, NYC. Freeman, Ivan. 37 2nd Officer. 610 Madison Avenue, Brooklyn, NY. Ful, Manuel. 32. Officers’ Messman. `27 Roosevelt Street, NYC, NY. Spanish citizen. Garcia, Francisco. 33. Sculleryman. Seamen’s Institute, NYC. Garcia, Jose.34. Carpenter. 108 Roosevelt Street, NYC, NY. Born in Puerto Rico. Garcia, Manuel. 42. Storekeeper. 3111 Water Street, NYC, NY. Spanish citizen. Garner, Robert. 20. Wiper. 93 Bay Avenue, Bloomfield, NJ. Gasch, Albert. 42. Steward. 72 10th Street, Hoboken, NJ. German citizen. Gastambide, Hiram. 25. Water Tender. 1673 Madison Avenue, NYC, NY. Born in Puerto Rico. Goetz, Paul. 46. Chief Pantry. 917 Park Avenue, Hoboken, NJ. Naturalized U.S. citizen, born in Germany. Gonzalez, German. 29. 7th Assistant Cook. 75 South Street, NYC, NY. Cuban citizen. Gonzalez, Manuel. 47. Steward. 328 East 125th Street, NYC, NY. Naturalized U.S. citizen, born in Spain. Gonzalez, Manuel. 36. Officers’ Messman. 153 East 31st Street, NYC, NY. Cuban citizen. Gross, John. 22. Able Seaman. Guterbay, Jesus. 32. 6th Assistant Cook. 101 Atlantic Avenue, Brooklyn, NY. Spanish citizen. Hamill, Richard. 31. 4th Assistant Engineer. 322 Linden Street, Brooklyn, NY. Hamrin, Gustav. 38. Quartermaster. Seamen’s Institute, NYC. Hansen, Howard. 35. 4th Officer. 314 West 30th Street, NYC, NY. Harris, Henry. 23. 3rd Engineer. 248 86th Street, Brooklyn, NY. Hassin, Max. 36. Steward. Seamen’s Institute, NYC. Henderson, Sinclair. 34. Telephone operator. 350 Maine Street, East Orange, NJ. Hellestrand, William. 18. Engineering Cadet. 157 West 61st St, NYC, NY. Hershkowitz, Harry. 35. Musician. 1685 Morris Avenue, Bronx, NY. Hoffman, Samuel. 29. Quartermaster. 141 Park Street, Chelsea, Mass. Howell, John. 18. Bellboy. 323 James Street, Teaneck, NJ. Houston, Colin. 26. Fireman. 62 Chestnut Street, Ridgefield Park, New Jersey. Naturalized U.S. citizen, born in Scotland. Jackson, Charles. 24. Wiper. 140 Carlton Street, Buffalo, NY. Johnson, Trygue. 36. Carpenter. 119-60 130th Street, Ozone Park, NY. Julian, Roy. 19.Wiper. 385 Virginia Avenue, Jersey City, NJ. Justis, William. 32. Chief Electrician. 1217 Garden Street, Brooklyn, NY. Kelsey, Leroy. 23. Able Seaman. POB 66, East Chatham, NY. Kitchen, William. 52. Plumber. 2406 University Avenue Bronx, NY. Klinger, Gustav. 31. Junior Engineer. Seamen’s Institute, NYC. Koch, Herman. 32. Steward. 34-36 26th Street, Long Island City, NY. Naturalized U.S. citizen, born in Germany. Konderousis, Demos. 37. Water Tender. Seaman’s Institute. Naturalized U.S. citizen, born in Greece. Kopf, Richard. 25. Steward. 28th Street YMCA, NYC, NY. Naturalized U.S. citizen, born in Germany. Krusche, Peter. 42. Portman. Seamen’s Institute, NYC. Naturalized U.S. citizen, born in Latvia. Kurland, Albert. 40. Musician. 21 Sherman Avenue, Bronx, NY. Naturalized U.S. citizen, born in Russia. La Fuente, Jesus. 43. Assistant Butcher. 43 Cherry Street, NYC, NY. Spanish citizen. Larranaga, Nicolas. 32. Assistant Cook. Spanish citizen. Latta, Clyde. 34. Chief Steward. Fredonia, New York. Liddel, Charles. Steward. 43. 1260 3rd Avenue, NYC, NY. Naturalized U.S. citizen, born in Scotland. Livingston, Sol. 52. Night Watchman. 611 Argyle Road, Brooklyn, NY. Lopez, John. 42. 4th Assistant Cook. 75 South Street, NYC, NY. Spanish citizen. Makarski, Stanley.43. Sculleryman. 563 15th Street, Brooklyn, NY. Naturalized U.S. citizen, born in Russia. Markov, Joseph. 30. Steward. 48-24 193rd Street, Flushing, NY. Naturalized U.S. citizen, born in Yugoslavia. Marshall, Harry. 43.Fireman. 1017 Porter Street, Richmond, Virginia. Martin, Nelson. 22. Steward. 2155 8th Avenue, NYC. Born in Puerto Rico. Martinez, Manuel. 36. Engineer. 311 Water Street, NYC, NY. Naturalized U.S. citizen, born in Spain. Mata, Antonio. 27. Messman. 45 Monroe Street, NYC, NY. Mexican citizen. Matarrita, Arturo. 36. Beverage Steward. Naturalized U.S. citizen, born in Costa Rica. Maus, Julius. 27. Elevator Operator. Little Neck, NY. German citizen. McCrodden, Matthew. 23. Steward. Los Angeles, CA. McDonald, Hugh. 43. Steward. 135th Street, Jamaica, Queens, NY. Naturalized U.S citizen, born in Canada. McManus, James P. 26. Ordinary Seaman. 76 Harper Street, Rochester, NY. McNally, Bernard. 42. Storekeeper. 3538 Hull Avenue, Bronx, NY. Melberd, Martin. 39. Junior Engineer. Seamen’s Institute, NYC. Naturalized U.S. citizen, born in Latvia. Miller, Isidore. 29. Steward. 541 Quincy Street, Brooklyn, NY. Miller, Percy. 34. 2nd Electrician. Ponca, Nebraska. Miller, Solomon. 20. Steward. 1357 Intervale Avenue, Bronx, NY. Molnar, Paul. 24. Bellboy. Richmond Hill, Queens, NY. Monroe, Clarence. 19. Able Seaman. 1237 Westside Avenue, Jersey City, New Jersey. Montouvalos, James. 42. Oiler. 176 East 102nd Street, NYC, NY. Greek citizen. Moore, Robert. 20. Fireman. Sioux City, Iowa. Morris, Stanley. 38. Junior Engineer. 105 McKinley Ave. Brooklyn, NY. Naturalized U.S. citizen, born in Latvia. Muir, Philip. 43. Tearoom Steward. 573 Isham Street, NYC, NY. Naturalized U.S. Citizen born in England. Munez, Valentine.35. Messman. Seamen’s Institute, NYC. Naturalized U.S. citizen, born in Cuba. Munoz, Anthony. 32. Steward. 1242 Fulton Street, Brooklyn, NY. Nelson, Richard. 39. Junior Engineer. Jersey City, New Jersey. Naturalized U.S. citizen, born in Russia. Nemoresky, Charles. 31. Steward. 1250 Morrison Avenue, Bronx, NY. Naturalized U.S. citizen, born in Russia. Nieves, Thomas. 36. Fireman. Seamen’s Institute, NYC. Born in Puerto Rico. O’Connor, Joseph. 54. Night Watchman. 1117 E 36th Street, Brooklyn, NY. Olavarria, Rene. 30. Bath Steward. O’Sullivan, William. 33. Storekeeper. 936 East 24th Street, Portland, Oregon. Ottens, Herman. 36. Steward. 1866 Madison Street, Brooklyn, NY. Naturalized U.S. citizen, born in Germany. Paz, Marcellino. 34. Steward. 775 South Street, NYC ,NY. Naturalized U.S. citizen, born in Spain. Pazos, Jose. 39. Portman. 332 Water Street, NYC. Spanish citizen. Pender, Arthur. 41. Night Watchman. 8 California Street, Clinton, Mass. Perre, Joseph. 37. Steward. 315 New York Avenue, Brooklyn, NY. Naturalized U.S. citizen, born in Spain. Petti, Samuel. 30. Steward. 154 West 144th Street, NYC, NY. Policastro, Guido. 19. Bellboy. 4514 15th Street, Brooklyn, NY. Pond, James. 41. 2nd Chief Steward. Pryor, Carl. 33. Steward. 177 Central Avenue, Newark, Ohio. Ramos, Luciano. 42. Steward. 75 South Street, NYC, NY. Naturalized U.S. citizen, born in Cuba. Riehle, Eugene. 48. Junior Electrician. Naturalized U.S. citizen, born in Germany. Roberts, Reginald. 21. Oiler. 66 Edgecomb Avenue, Yonkers, NY. Rodriguez, Florencio. 36. Bath Steward. 518 46th Street, Brooklyn, NY. Naturalized U.S. citizen, born in Cuba. Rogers, George. 38. Chief Radio Operator. 601 Avenue E, Bayonne, New Jersey. Ross, Alexander. (Missing) 19. Deck Cadet. 217 Hamilton Avenue, St. George, Staten Island, NY. Ryan, Sidney.32. Steward. 15 West 66th Street, NYC, NY. Naturalized U.S. citizen, born in England. Saffir, Seymour. 18. Bellboy. 1378 Carroll Street, Brooklyn, NY. Saldana, William. 33. Bath Steward. Seamen’s Institute, NYC. Born in Puerto Rico. Schwarz, Lena. 38. Stewardess. 229 East 11th Street, NYC,NY. Seijo, Felix. 47. Steward. 35 Cherry Street, NYC. Smith, John. 47. Steward. 646 Jersey Avenue, Lyndhurst, NJ. Naturalized U.S. citizen, born in Holland. Smith, Robert. 32. Cruise director. 132 South Tennessee Avenue, Atlantic City, New Jersey. Soltis, John. 27. Wiper. 194 Allister Street, Providence, Rhode Island. Spagna, Joseph. 20. Sculleryman. 108 Cherry Street, NYC, NY. Speiermans, Henry. 48. Chief Steward. East Lincoln Street, Verona, NJ. Naturalized U.S. citizen, born in Denmark. Spilgas, Joseph. 25. Able Seaman. Center Moriches, NY. Stamm, Hans. 39. Steward. 689 Hudson Street, Hoboken, NJ. Naturalized U.S. citizen, born in Germany. Stamm, Henry. 37. Telephone Operator. 8489 Walnut Street, New Gardens, NY. Stephenson, Milton. 44. Steward. Fairlawn, New Jersey. Steuben, Harry. 19. Oiler. 141 Orient Way, Rutherford, New Jersey. Suarez, Francisco. 25. 2nd Pantry. 333 East 11th Street, Apt. 7. NYC, NY. Suarez, Juan. 28. Sculleryman. 110 West 114th Street, NYC, NY. Sunkens, Walter. 23. Oiler. 34-47 89th Street, Woodhaven, NY. Naturalized U.S. citizen, born in Germany. Tannenbaum, William. 26. Night Watchman. 444 Grand Street, NYC, NY. Thomas, James. 34. Able Seaman. 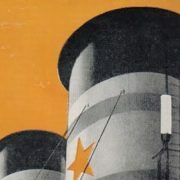 General Delivery, Philadelphia, PA.
Tolman, Robert. 37. Purser. 21 Prospect Street, Westwood, New Jersey. Toole, Roger. 21. Steward. 276 Lefferts Avenue, Brooklyn, NY. Torres, William. 39. Night Watchman. New Nexico. Torrealday, Ciriaco. 38. Butcher. 43 Cherry Street, NYC, NY. Spanish citizen. Torreson, Thomas.17. 3rd Assistant Purser. 130 34th Street, Woodcliff, New Jersey. Tripp, William. 18. Engineering Cadet. Trujillo, Lupencino. 39. Assistant Chief Pantry. 724 8th Avenue, NYC, NY. Cuban citizen. Truscott, Donald. 25. Elevator Operator. North Dakota. Urbich, Ernest. 32. Bosun. Seamen’s Institute, NYC. Austrian Citizen. Vallejo, Antonio. 34. Linen keeper. Naturalized U.S. citizen, born in Spain. Van Zile, De Witt. 40. Surgeon. 73 South Oxford Street, Brooklyn, NY. Varella, Donato. 31. Oiler. 355 West 111th Street, NYC, NY. Naturalized U.S. citizen, born in Spain. Vasquez, Jose. 34. Sculleryman. 39 Cherry Street, NYC, NY. Spanish citizen. Vassiliades, John. 32. Steward. 25 South Street, NYC. Greek citizen. Vince, David. 33. Porter. 224 Johnson Street, Brooklyn, NY. Viola, Rocco. 19. 3rd Assistant Pantry. 2374 Morris Park Avenue. Bronx, NY. Walther, Fred. 21. Ordinary Seaman. 295 Rutland Avenue, Freeport, NY. Warms, William. 45. Chief Officer. Green Village, New Jersey. Webb, George. 22. Junior Electrician. Seamen’s Institute, NYC. Weberman, George. 53. Night Baker. 407 East 57th Street, NYC, NY. German citizen. Weidener, Paul. 36. Officers’ Messman. 329 East 14th Street, NYC, NY. German citizen. Weinberger, Morris. 27. Able Seaman. 13425 Durant Avenue, Cleveland, Ohio. Weintraub, William. 28.Musician. Davidson Avenue, Bronx, NY. Naturalized U.S. citizen, born in England. Welch, Joseph. 33. Able Seaman. 1015 Vine Street, Johnstown, Pennsylvania. Williams, Frank. 28. Able Seaman. 339 East 112th Street, NYC, NY. Willmott, Robert. 56. Master. 200-07 Beaufort Avenue, Hollis, Queens, NY. Naturalized U.S. citizen, born in England. Wilson, Richard. 39. Junior Engineer. Wright, Carl. 31. Saloon Steward. Seamen’s Institute, NYC. Wright, Lewis. 40. Junior Engineer. Seamen’s Institute, NYC. Wright, William. 17. Wiper. 514West 39th Street, NYC, NY. York, James. 36. Oiler. 9485 5th Avenue, Brooklyn, NY. Young, Robert.18. Bellboy. 105-13 109th Street, Ozone Park NY. Zabala, Andrew. 17. Fireman. 404 Sixth Avenue, Brooklyn, NY. Zabala, Ragne. 36. Stewardess. 404 Sixth Avenue, Brooklyn, NY. Citizen of Denmark. Zass, Ferdinand. 37. Steward. Avenue I, Brooklyn, NY. Naturalized U.S. citizen, born in Turkey.